Kevin S. Hamilton is a retired businessman in the telecommunications industry, having worked as CEO of each Prime Matrix Wireless, Encore Wireless, Amerivon, and Truconnect. In April 2013, he was sustained as a member of the Second Quorum of the Seventy of The Church of Jesus Christ of Latter-day Saints. Prior to this call, he had been serving as director of the Southern California Public Affairs Council for the Church. Hamilton was born in March 1955 in Wenatchee, Washington. He received a bachelor’s degree in marketing from Brigham Young University and a master’s degree in finance from the University of Washington. He served as a full-time missionary for The Church of Jesus Christ in the Switzerland Geneva Mission, serving in both France and Switzerland. 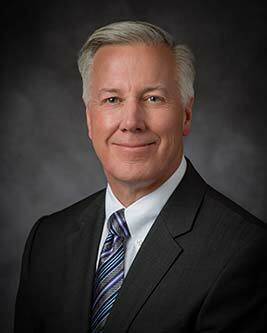 He has served in other callings, including bishop’s counselor, bishop, high councilor, and stake president. From 2003 to 2006, he was president of the Belgium Brussels/Netherlands Mission. Hamilton and his wife, Claudia Keysor, are the parents of six children. This page was last edited on 8 May 2014, at 12:32.